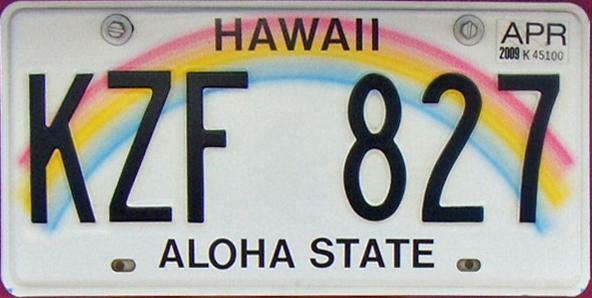 Only five more plates to go: Nevada, Louisiana, Vermont, Utah and Hawaii, which I think is going to be the hardest plate this summer. We saw hundreds of Louisiana's this past weekend in Houston. I couldn't count them, though. Why? Because Houston is not in the St. Louis Metropolitan Area. I shall try my luck tomorrow by singing "Tiny Bubbles" while I'm in my car. 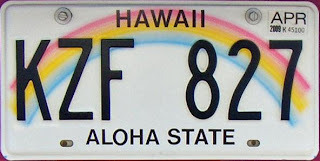 I'm sure that will work because tomorrow is my birthday, and finding a Hawaii license plate would be a great birthday present. "Ti-ny Bubbles..."